Whenever I go to some play land with my kids, I miss my childhood days when I used to love all kind of swings. I was always very desperate to go out with my dad in some nearby park to have some rides of swing. I still miss that time. Even now when I am all grown up and have my own kids, such outdoor swings really fascinate me. Even my mother and granny is very fond of sitting on some outdoor swings. So here is a classic example of an pallet indoor swing where you can always spend some best moments of your life enjoying the swings. 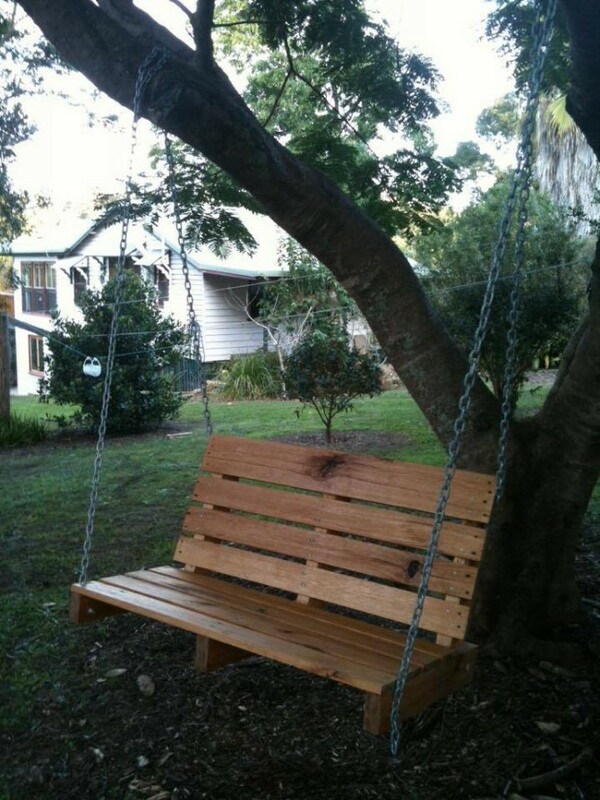 This is a fine pallet garden swing seat which is made with the help of some discarded pallets. Nothing additional is used except some hard metallic chain just to hang it with the tree branches so that it stays firm. This marvelous pallet garden seat is pretty ideal for the entire family. 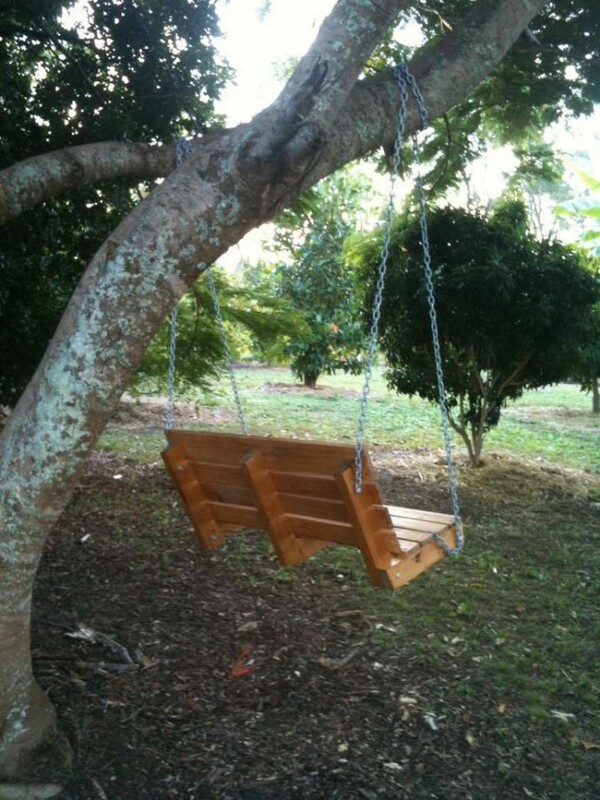 Kids and adults all can equally enjoy sitting on it and having swings. This is pretty spacious enough that even two to three persons can sit on it at the same time. All the due care has been taken in its making. Its lower portions are made quite firm by fixing some additional firm wooden pallet planks below so that it stays firm and the chances of damage are minimized to the utmost extent. A little texturing has been done to make its surface smooth. And its rustic look is a great addition to your outdoor sitting. A swing in a garden is just a source of immense pleasure where you spend some finest moments of your daily life. 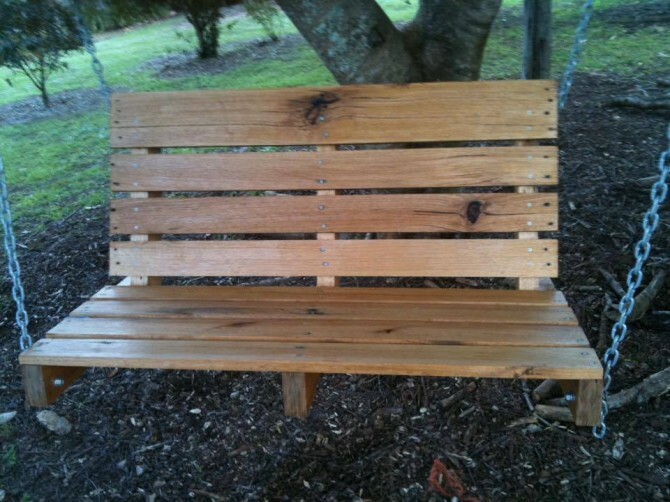 This wooden pallet swing is going to give you all the due comfort that you can expect from a repurposed wooden swing.